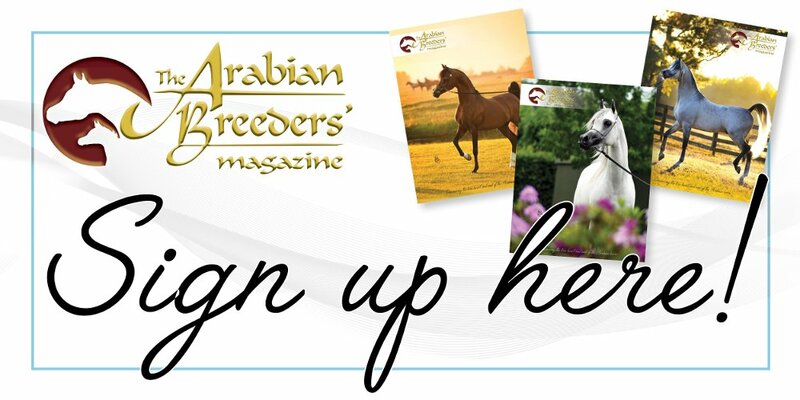 Having bred Anglo Arabs and warmbloods for many years I bought my first pure-bred Arab as a companion for an in foal mare. She was a chestnut yearling filly who went on to do well under saddle, qualifying for HOYS at the nationals, before being sold on as a 10 year old as I no longer had a rider for her. Two or three years later I decided to look for another potential ridden mare, which is not an easy task when you live in Scotland. Eventually, after a lot of searching, I found a very raw, hairy chestnut mare in the far south of England. So far south, she was almost in the English Channel! She was, however, exactly what I was looking for. Rising four years old, Shaarinah had size, substance and movement. She was bred in Germany by Silvia Luggenholscher, and was brought to England as a late yearling from Sax Arabians. She is by the elite stallion Kais, out of a German premium mare Sherruka al Roban (by FS Bengali) who is still at Sprave Arabians. She was unbroken and had just weaned her colt foal, Sameon Marouhk, by the Crabbet stallion Mareschal. She went to Mel and Frankie Waring in Worcestershire where she was backed and she came out in the show ring as a five year old. 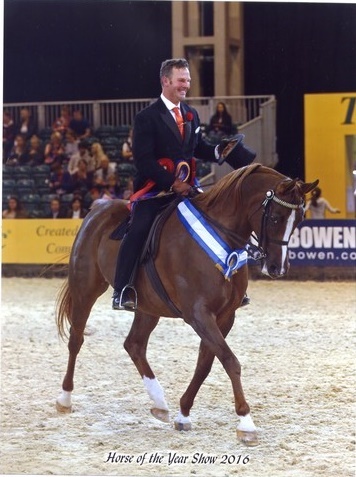 She quickly de-noviced and then, as a six year old she and Frankie qualified for HOYS at the Midland Festival. That same season they were also Supreme Ridden Champion at the South West C Show at Bicton. She came home to Scotland for the winter and I decided that I would like her nearer home so she following spring she went down to David Froggat in Lancashire, where she has been ever since. In their first year together they won the junior ridden mare class at the National Championships at Malvern, the ridden mare class at UKIAHS where she was awarded the maximum marks for ride, and she picked up their first Supreme Ridden Championship at the Northern Arab Show among other results. Between then and now, her successes include Supreme Ridden Championships at the British Arabian Championship, the Northern Arab Show, twice, the Scottish Arab Show, CheshireCounty and North Staffordshire. In addition, Shaarinah was Gold Champion at the Ridden Arabian Star Series finals, three times winning ridden mare at the UKIAHS as well as a Silver and Bronze Ridden Champion there. She has been Reserve Supreme Ridden Champion at the National Championship Show and qualified for HOYS every year, where she has previously taken second, third and fourth places. This year David and Shaarinah took the one title they’d yet to receive; the Champion Ridden Arabian honours, and best mare, at Horse of the Year Show. They were foot perfect and a joy to watch throughout and were rewarded with a maximum 50/50 from the ride judge. David’s smile and Shaarinah’s lap of honour under the lights, with music playing, summed up what an incredible partnership they are. I flew down to Birmingham from Glasgow, with a friend, on the Friday morning for Arab day at HOYS. We flew back late that evening having never for a moment thought Shaarinah would be in the Supreme on the Sunday. So we had to content ourselves with watching at home on live stream which was extremely nerve wracking! However, she and David delivered a really lovely show that attracted super comments. I was very proud of the pair of them; they certainly didn’t let the breed down! Interestingly, Shaarinah is only the second mare to have been Champion Arab at HOYS, and the only mare out of five in the class to be in the top nine. 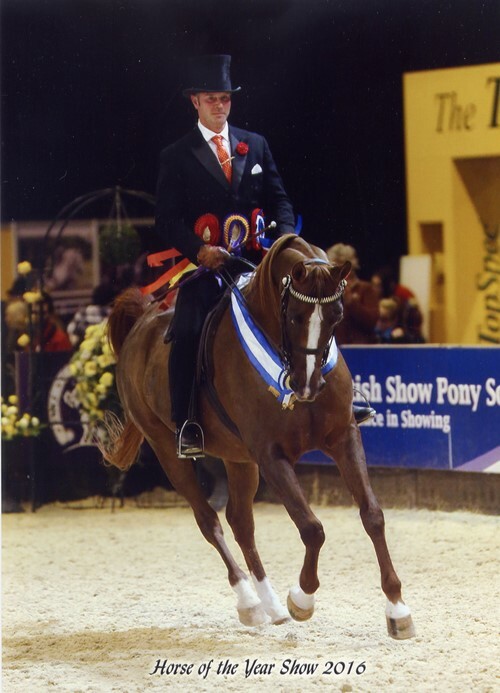 Looking through the archives, of the 19 HOYS Champions since the classes started in 1998, 10 have been stallions, seven geldings and only two mares. This all goes to make her achievement even more special. 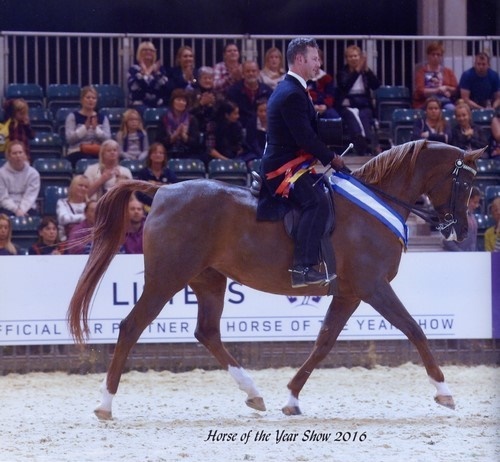 Her only foal to date, Sameon Marouhk, is proving to be just as consistent, also qualifying for HOYS among his many titles with owner and rider Ben Hester. This year their results included the Open Pure-bred Ridden National Championship at Malvern, which also earned Ben the best one horse owner award as well. In between her showing outings, Shaarinah is now registered with British Dressage (BD) and has accumulated 123 BD points at Novice and Elementary level, from just a handful of tests each year. Hopefully we can concentrate more on the dressage from now on as well as a bit of jumping which she really enjoys. She thrives on the mixed work and relaxed atmosphere at David’s yard. I know she’s in the best hands so who knows what next year will bring! Next articleThe Paris World Championships 2016 – LIVE!